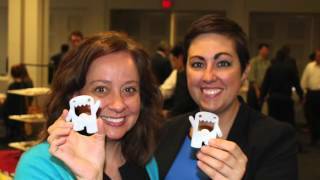 Courtney Duffy and Meredith Whipple can barely contain their excitement about the 5th annual 3D/DC conference and exhibition. The nation's premiere 3D printing event is only two weeks away. Courtney, the Fractured Atlas Arts and Technology Fellow and Public Knowledge, is organizing 3D/DC this year, and gives listeners a preview of what public policy hot topics will be the focus of #3DDC2016.